Now this is a great reason to buy an Instant Pot! - Geaux Ask Alice! BlogNow this is a great reason to buy an Instant Pot! Now this is a great reason to buy an Instant Pot! The GADGET I have for you today has been posted before—THE INSTANT POT! I do not have one but I find many of the young mothers and those who work long hours love this GADGET! Not sure I need it, but when I saw this article on it-I might have to look into it. 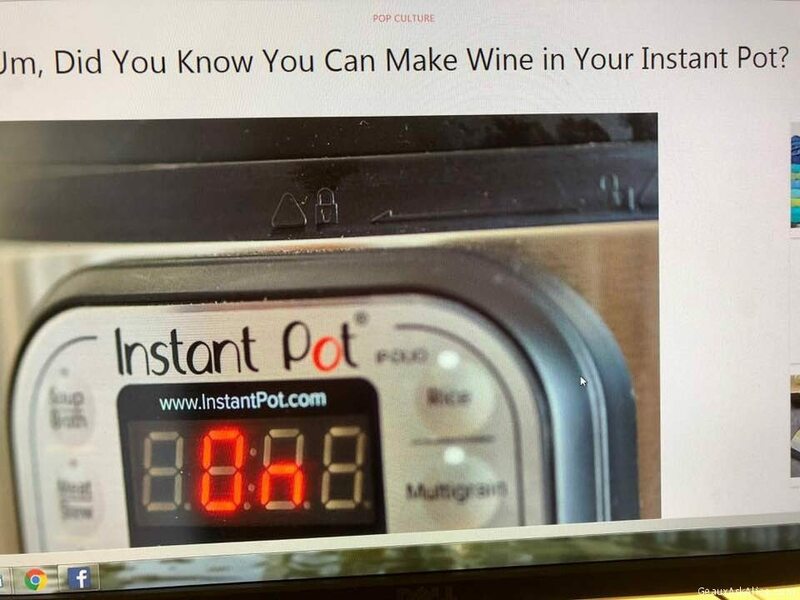 The article says the INSTANT POT makes GREAT WINE! Now that is a MARVELOUS GADGET!!!!!!! next post: BIRTHDAY WISHES! REPEAT WEDNESDAY AND GADGET/PRODUCT/TIP DAY!